For every Ford owner there’s a Chevy owner, as there is Winchester to Remington. If you’re a fan of the Model 70 action and want your kids to follow in your footsteps, then the Model 70 Featherweight Compact is an optimum choice. I’ll be upfront, this gun isn’t on the cheap side, so it’s probably a better choice for a youth shooter who’s already been inducted into the shooting sports and has shown a dedicated interest, rather than as a gun for an introduction to the sport. Other than that, the gun has plenty of features that make gifting one to a serious young shooter a sound choice. First I like the length of pull. At a flat 13 inches, this is an optimum place to start for youths who’ve outgrown their Daisy Red Ryder but still find a full-length stock too unwieldy. Also, this is a wood-stocked gun, so it’s easy for any reasonably talented gunsmith to both shorten and/or gradually lengthen with spacers as your child grows. The three-position safety is another big advantage on this rifle. It’s highly visible, easy to use even for smaller hands, and its middle safe setting allows the user to cycle the action and loaded cartridges without risk of an accidental firing, as the firing pin is lifted away from the sear. Each position clearly identifies the status of the rifle, and its prevalent position on the top of the receiver should prevent the user from over-handling the gun to either locate or operate it (i.e., less handling can help a young shooter who hasn’t quite become completely conscious of where they’re pointing a gun at all times, such as a seasoned shooter should be, keep themselves and others safe). Wearing a 20-inch barrel, the Model 70 Featherweight Compact comes in at a neat 6 lbs., 8 ozs., and I think this is one of the gun’s best selling points for youth shooters, especially teens who are up to hiking a bit to a good treestand location or capable of tracking a deer with you over some distance if necessary. Three deer-ready calibers–.243 Win. 7mm-08 Rem., and .308 Win.—should provide for manageable recoil, even with the gun’s trim poundage, and an adjustable M.O.A. Trigger System that Winchester claims has no creep, takeup, or overtravel should enhance pre-season practice time on the bench. MSRP: Winchester’s website has this gun at $879.99. Like I said, this is unlikely to be a price point most adults will want to approach for a first time gun purchase intended for an uninitiated shooter. 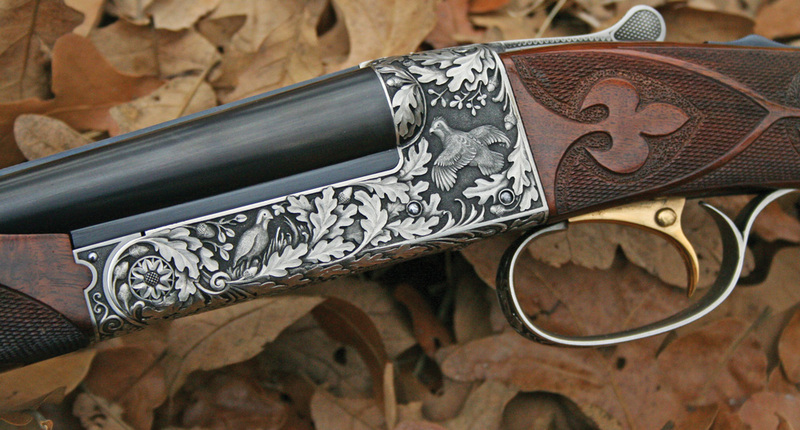 But if you have a youth who’s slogged along with you through several seasons and put up with a beater hand-me-down gun they’ve never liked, this might be a super choice for a gun you could gift them in reward for their perseverance. I’m not only choosing this ammo because I’ve used it quite a bit myself and love how it works (I’ve never had game run off with a well-placed hit), but because Winchester is currently offering a rebate of $2.50 on up to four boxes purchased. Hurry though—the promo started in August and is due to run out on December 31, 2011. (Here’s the link to the rebate form. Winchester has to have them in hand no later than January 15, 2012 for you to get your rebate). Available rounds for the Featherweight Compact above include 55- and 95-grain .243s, a 140-grain in the 7mm-08, and 150- and 168-grain .308s. Should take care of every whitetail size out there from a tiny Coues to a giant Saskatchewan bad boy. Since I qualified this blog’s gun choice as one that’s perhaps most appropriate for a youth shooter who’s shown dedication to time on the bench and hours on the stand, then I think a good optics match for it is Leupold’s VX-3L rifle scope in the 3.5-10X50mm configuration. There’s myriad reasons to choose a Leupold based on reputation alone, but this particular scope has two features that really sell it. The first is the objective bell’s unique design. Divoted on its underside, the shape nearly embraces a gun barrel and permits the scope a very low-profile mount, a good thing for smaller faces on the stock behind them. This optic also has a Custom Dial System available—simply send Leupold your gun’s ballistics, and they’ll send you a dial to match it. This can simplify both the sighting in process, as well as help accuracy in the field when used in conjunction with a rangefinder. A lot of scope in all, but if your kid’s worth the price of the gun above, there’s no sense on handicapping him with junk glass. MSRP: Leupold doesn’t advertise prices, but I did a quick Google of retailers. Looks like this scope starts around the $699 range, a fair and appropriate match to the price of the Winchester Model 70 Featherweight Compact. The Author Recommends: Kids start out small, but they don’t stay that way. Gunsmithing: Rifles is a great choice for the do-it-yourselfer who wants a gun like the Model 70 Featherweight Compact to grow with its new young owner. As of today’s posting, the www.GunDigestStore.com site has the digital download version marked down 44% off the listed price, so you get it for $14.99 instead of $26.99. Now that’s a deal! Also today, 12/7/2011, as part of our 12 Days of Christmas specials, take 20% off dozens of CDs/DVDs, plus get free shipping (Use Promo Code GD12DAYS7)! I pick any or all of our Deer and Deer Hunting TV DVDs, Seasons 1-6–they’ll get anyone pumped for time in the woods! Deer and Deer Hunting TV DVDs–20% off TODAY ONLY, 12/7/11, PLUS FREE SHIPPING! Use Promo Code GD12DAYS7! Gunsmithing: Rifles–The Digital Download Edition is Currently 44% off! Whoo-hoo!!! I think this is a great option for teens, especially those that have the arm strength to hold up a 7.5 pounds of gun. The only change I would suggest is a fixed 4X or 1-4X Leupold to keep it simple, aid in target acquisition and keep total weight as low as possible.